Combining elements of the ultra-hip "talk-rap" style popularized by European act The Streets. As well as white-boy rap infused intermittently with the front woman's rhymes. 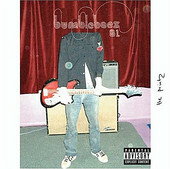 Not to mention electronica, and rock, Australia's Bumblebeez 81's The Printz delivers a worn in record of old and new, playing well to hipsters with their uber cool sound, street and indie hip-hop fans with their true-to-form grace, and experimental and electronica kids with their crazed, raved-up energy. This record is the kitchen sink, a record that includes elements of today's popular indie styles, twisted and groomed into a hip-hop sound sure to make suburban kids of all varieties blast it from their stereo. I'll give it a B.